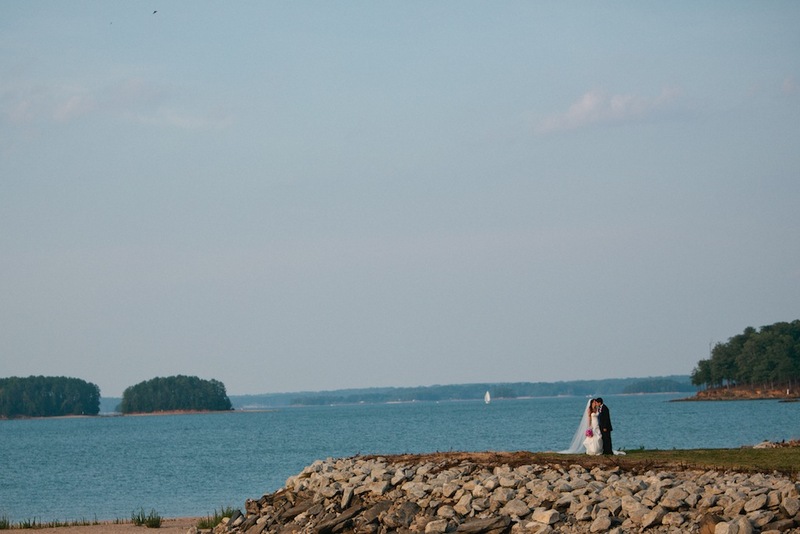 It’s hard to put into words the perfectly gorgeous wedding day held at Lake Lanier Islands Resort. 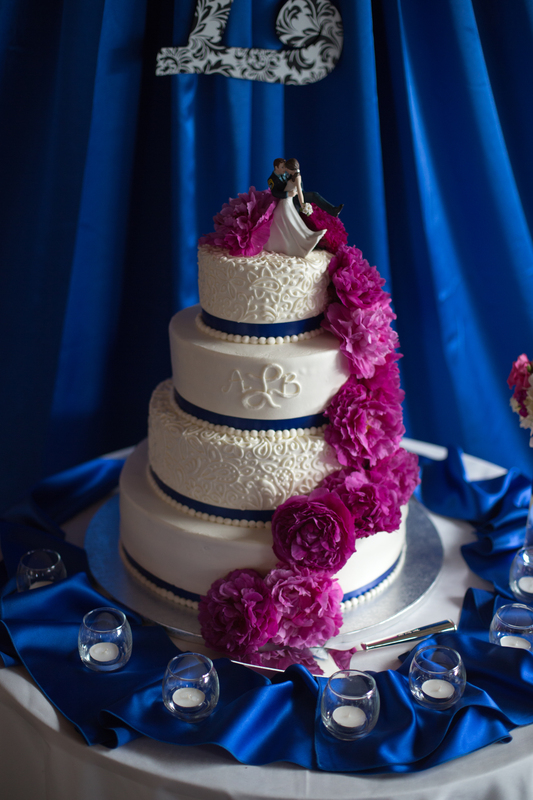 Amy and Brandon certainly had all the ingredients for a masterpiece story book wedding day. 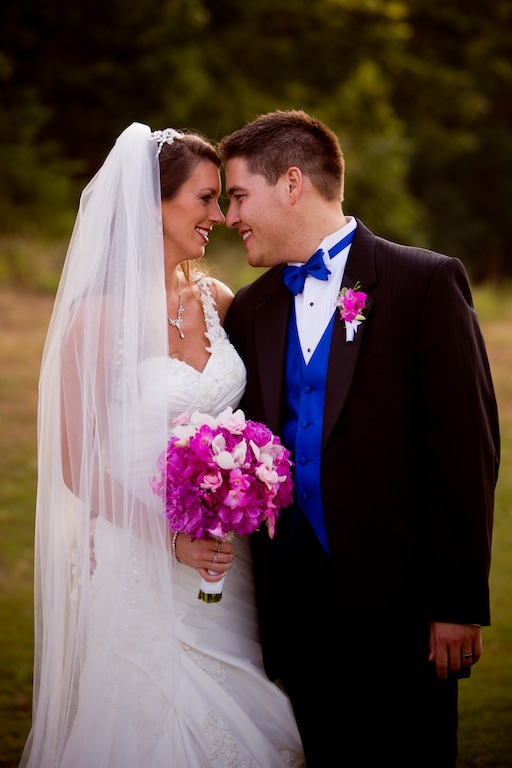 Design House of Flowers enjoyed every minute with this great couple! 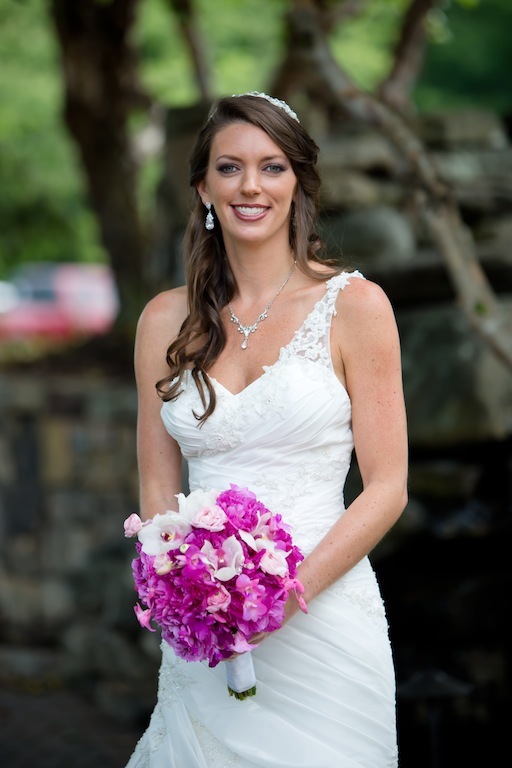 Amy carried a bright fuchsia bouquet of peonies, white orchids, pink ranunculus spread with crystal sprays wrapped in satin ribbon. 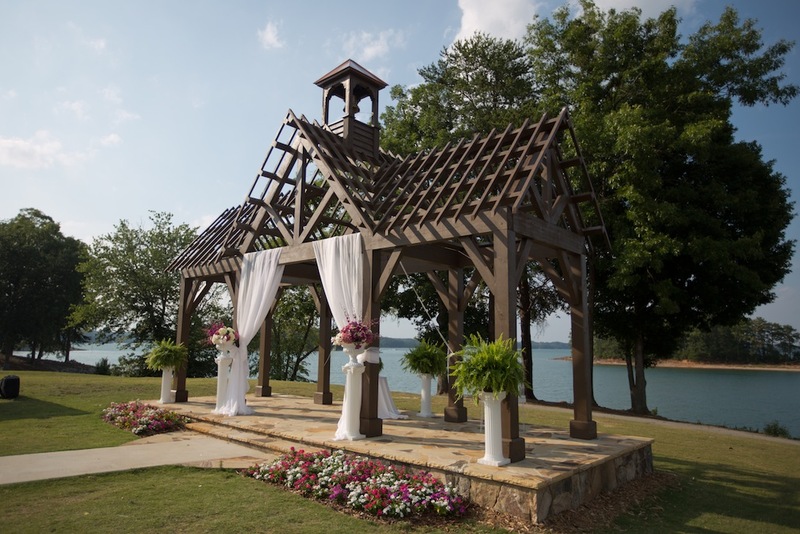 We had a picturesque lake view setting to design as We covered the altar arbor in sheer drapery and placed lush green ferns onto white roman column stands on each side. 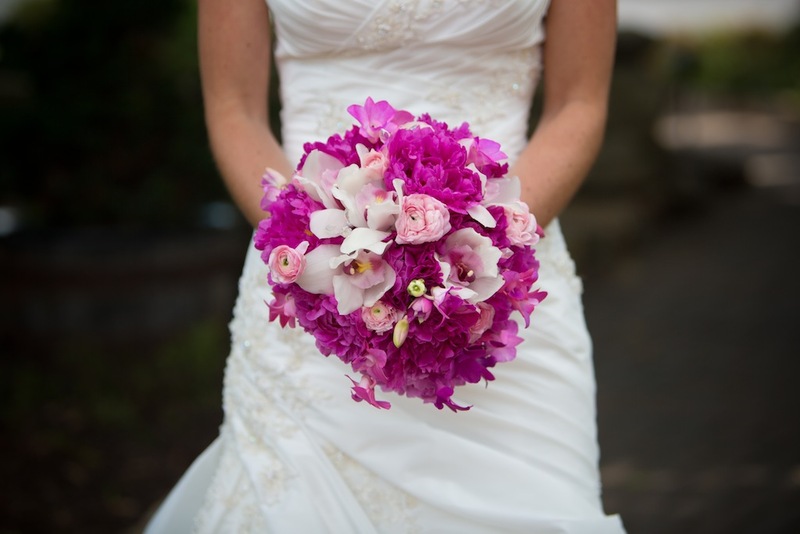 Two additional column stands displayed bright pink peonies, spray orchids, blue & pink hydrangeas and white cymbidiums. 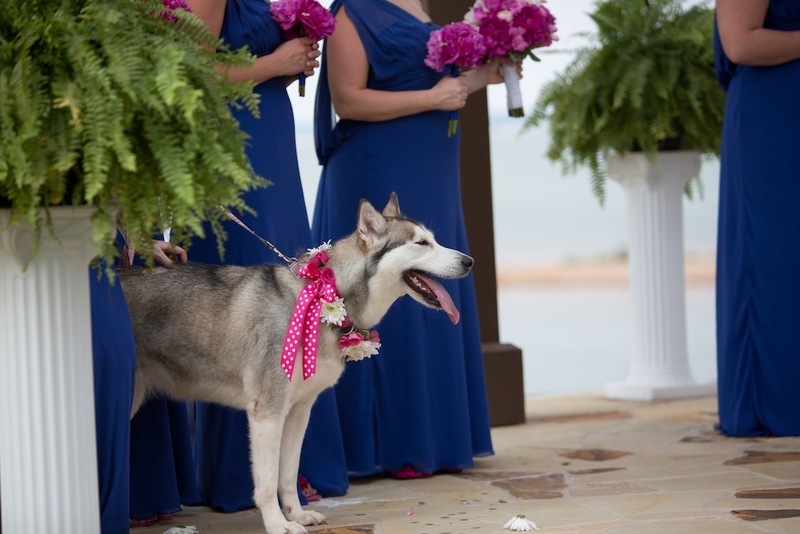 The beautiful bridesmaids were dressed in royal blue, and the couples’ happy pup, Sierra – a sweet Alaskan Malamute – was styling her hot pink collar wrapped with mini pink roses and white mums. 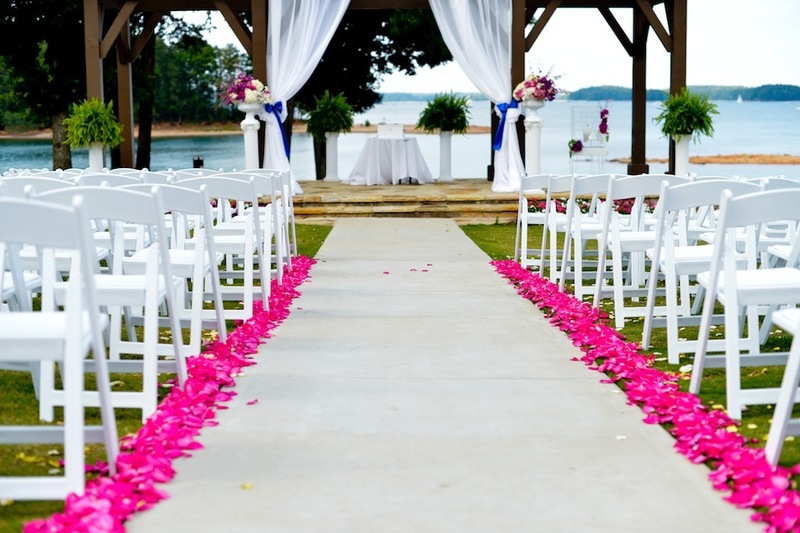 She happily joined the wedding party at the altar to anxiously await for this young, excited couple to exchange vows. 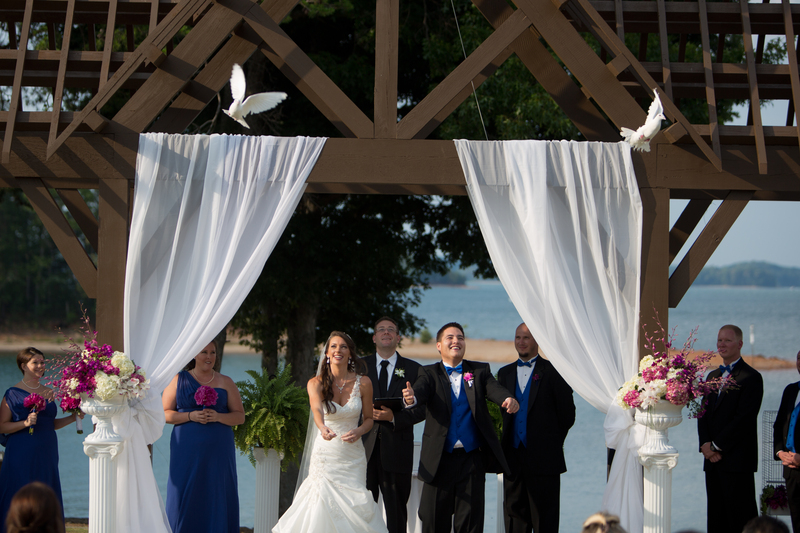 Amy and Brandon both released beautiful white doves from Georgia Doves as the ceremony came to an end. 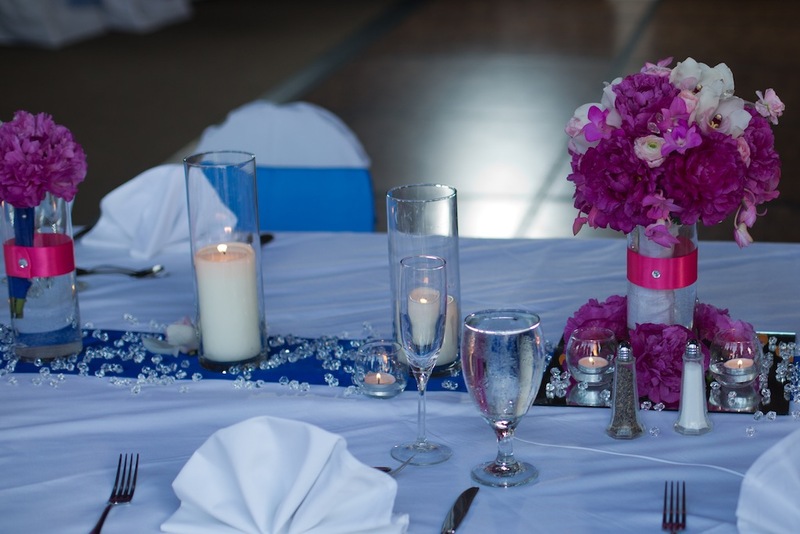 A superb reception followed in the romantic Pavilion at PineIsle Point where guests enjoyed music by DJ Hibrid. 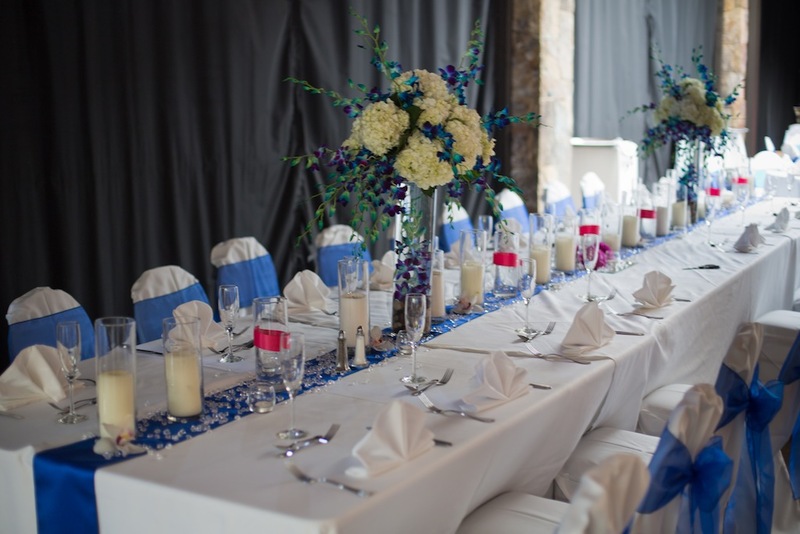 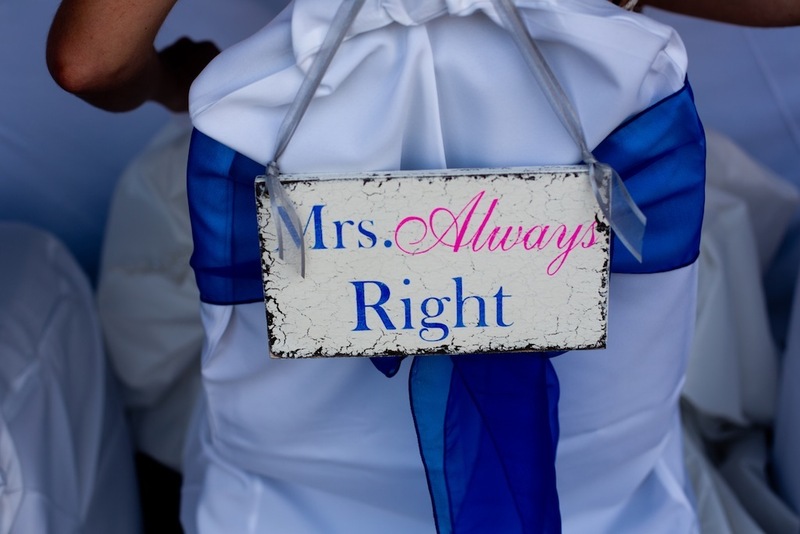 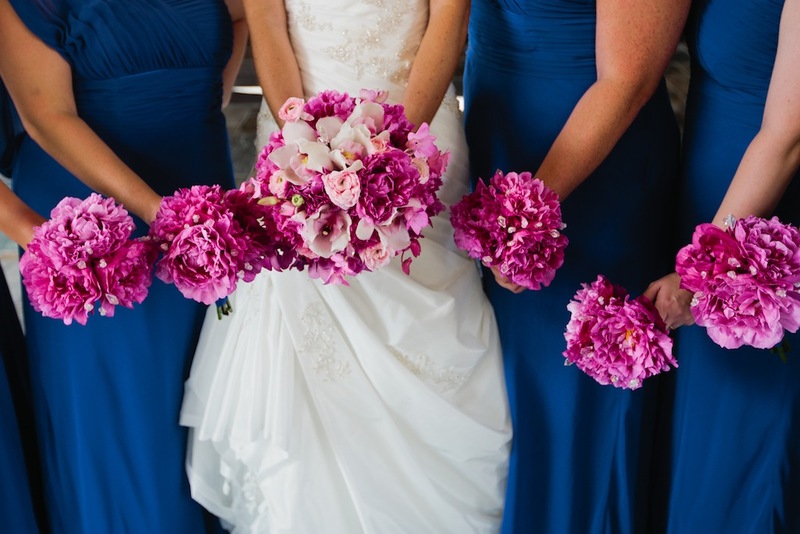 Daniel Stancil Photography captured this amazing day with these photos! 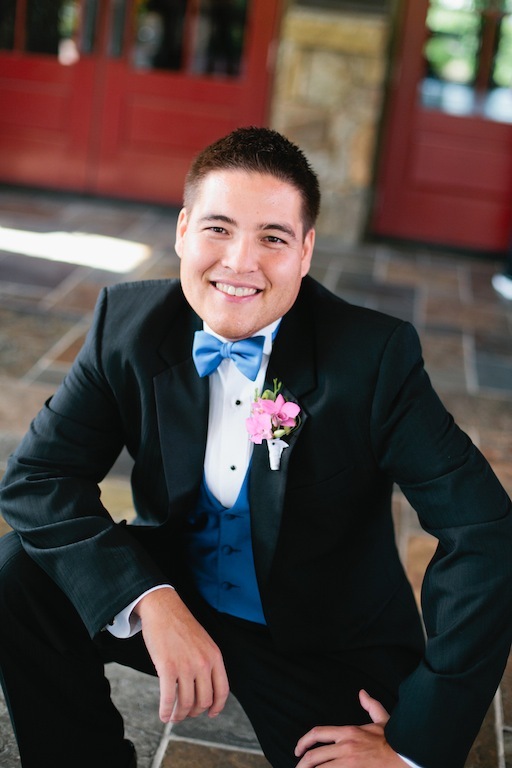 Thank you very much Daniel! 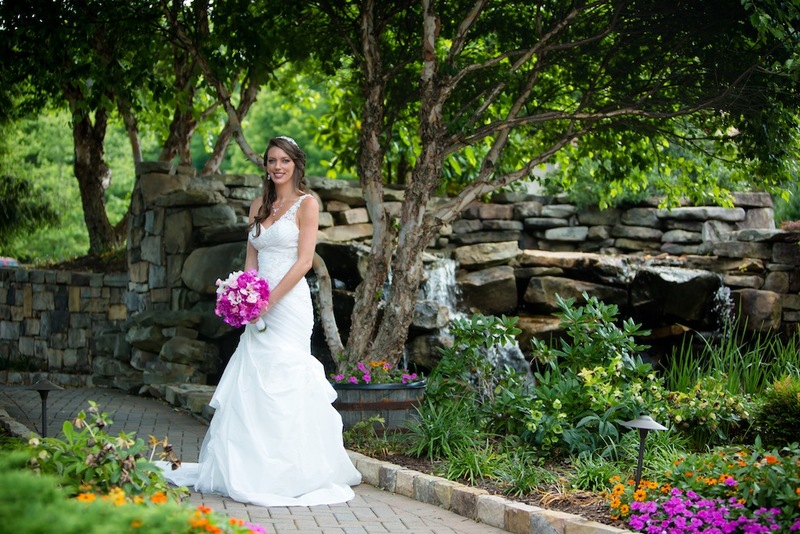 ← Design House of Flowers is WeddingWire Rated for 2012!